Are you from Europe or Korea? By default Windows 10 will come without Windows Media Player and other media capabilities in these regions. These capabilities include playing and recording video and audio, creating audio CDs and video DVDs and manage playlists and music libraries. This is due to the laws of Europe and Korea. They do not permit the multimedia application to be pre-installed so that the competitors have fair chance of competing against Microsoft’s media center and player. We have already explained the difference between Windows Editions including N and KN editions. 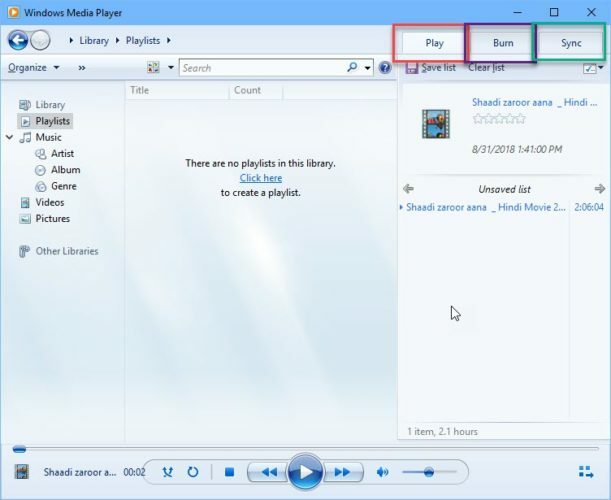 But these users can always install Windows Media Player and other multimedia functions if they don’t want to use third party multimedia applications. Microsoft provides Media Feature Pack for every version of Windows 10 including the latest 1803 version. Media Feature Pack is the safest option for multimedia management as it’s provided by Microsoft and it can be fully integrated into Windows. OneDrive and Photos app can’t play videos without media player. HomeGroup does not have streaming features in the absence of Windows Media Center and Player. Sound Recorder is limited to recording in WAV format only. Cortana speech interaction doesn’t work. Wireless display feature also gets disabled. PDF viewing in Edge browser stops working. All these features will be enabled once Windows Media components are installed.